This non-intrusive technology helps to identify problems much quicker than using conventional methods. It means surface temperatures can be recorded without needing to insert probes into the structure of a property. The equipment is more accurate and reliable than visual inspections. 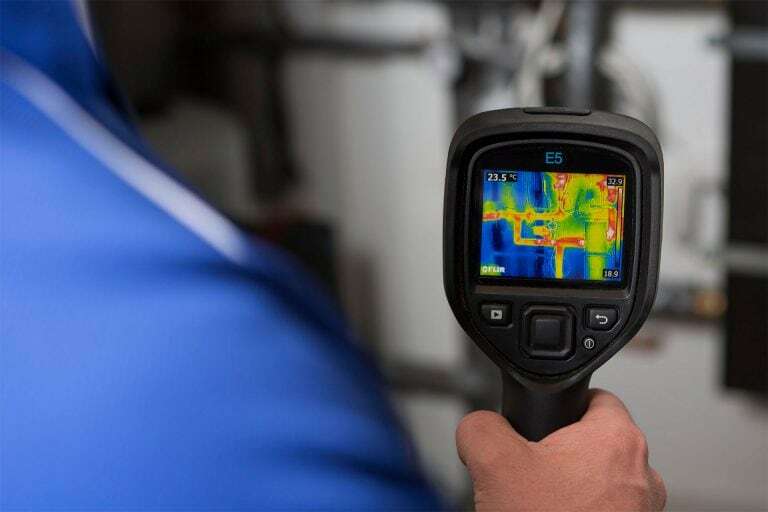 The same technology can also be used to detect areas of excess moisture and damp or to reveal under floor heating or pipework prior to any planned building work taking place. The camera is able to detect temperature changes behind walls and beneath floors. A non-harmful gas mixture that has no odour can be released into empty pipework. 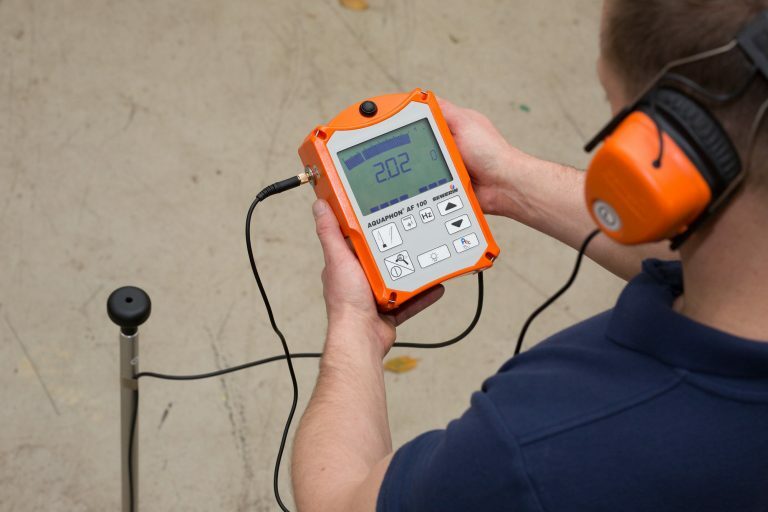 Our leak detection tradesmen use a highly sensitive detection probe to locate exactly where the gas is escaping. This non-evasive technique is reliable and can be very quick at locating leaks in pipes, even if they’re buried. 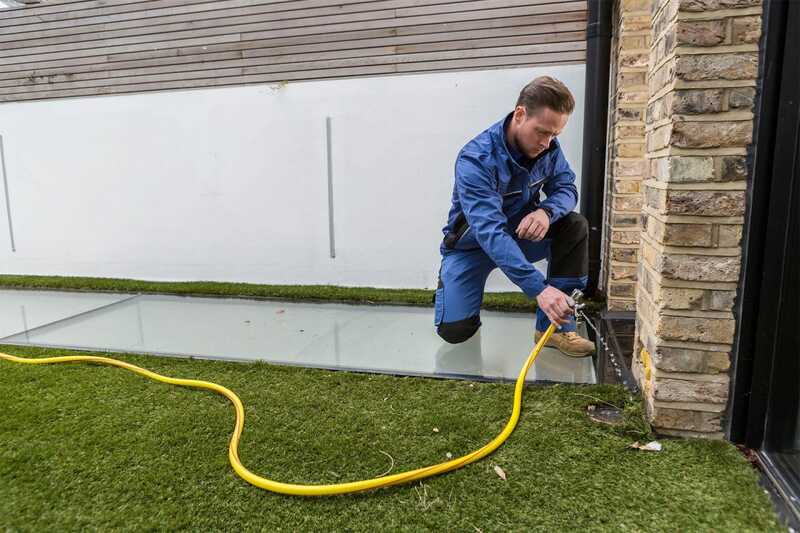 Tracer gas can also be used to find the source of leaks in sections of flat roof or around skylight. The gas can be released into the ceiling void and the probe used to pinpoint where it escapes. This is a non-destructive technique. The gas leaves no residue or smell and is completely safe to use in all types of pipework, including drinking water supplies. Our moisture meters are extremely sensitive monitoring devices. 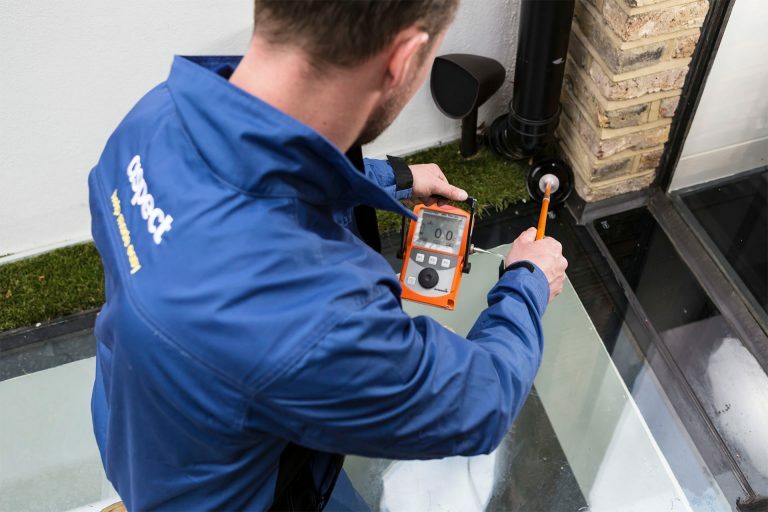 They enable our tradesmen to accurately assess moisture levels in any building material to a depth of 15mm. This allows them to accurately locate any area within your property that is affected by excess moisture. Readings are taken by inserting two probes into the building material (this leaves two small holes where each reading is taken). 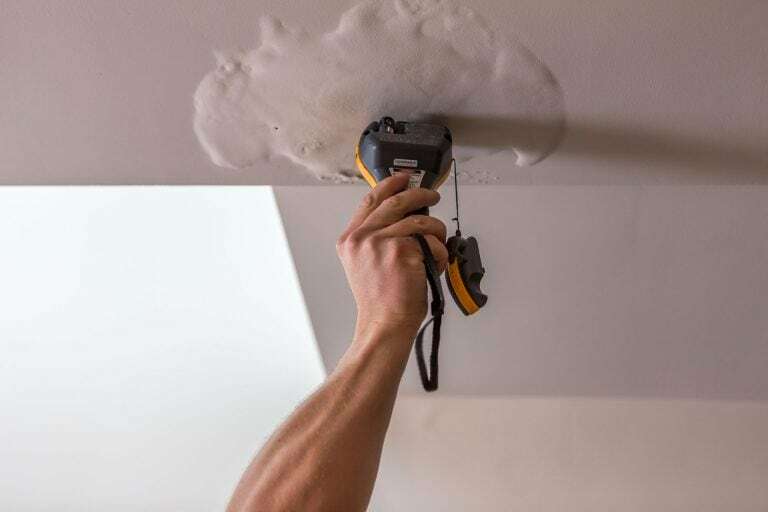 Treating areas of damp and excess moisture is important to restrict the development of mould within a property. The inhalation of mould spores is strongly advised against for health reasons. 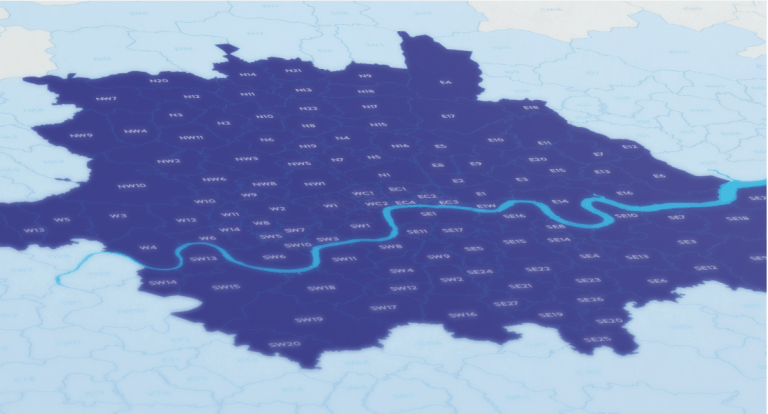 Our specialist leak detection tradesmen use microphones to position the location of a leak. This sensitive equipment amplifies to sound of water dripping and leaking from pipework beneath the ground. Leaks can be heard and pinpointed prior to excavation work taking place. This technique can drastically reduce the amount of digging that would otherwise be needed to locate and fix the problem. The microphones are so sensitive that they can detect a leak in pipework that’s buried beneath a few feet of concrete. This technique reduces the need for excavation work.